Two years ago at exactly the same time of the year, I was visiting Japan – and had a great time. Having never been to Asia before, I was a bit worried about not being able to find my way around. But it was really easy, especially in the capital, Tokyo, but also in Kyoto, Hiroshima, and Akita. In Tokyo, I visited the Imperial Palace (though only from afar, you can’t really go inside) with it’s beautiful gardens, Tokyo Tower, Shibuja Station and Crossing, with dog Hachiko (famous in Japan, everybody has his or her picture taken with it), and the Meiji Shrine, with its impressive parks, where the gardeners sweep the path to the temple with a broom made out of twigs to keep it free of leaves. I was impressed by the cleanliness everywhere in Japan – you get a wet towel whenever you eat to wipe your hands, even if it’s just a coffee and a cake. 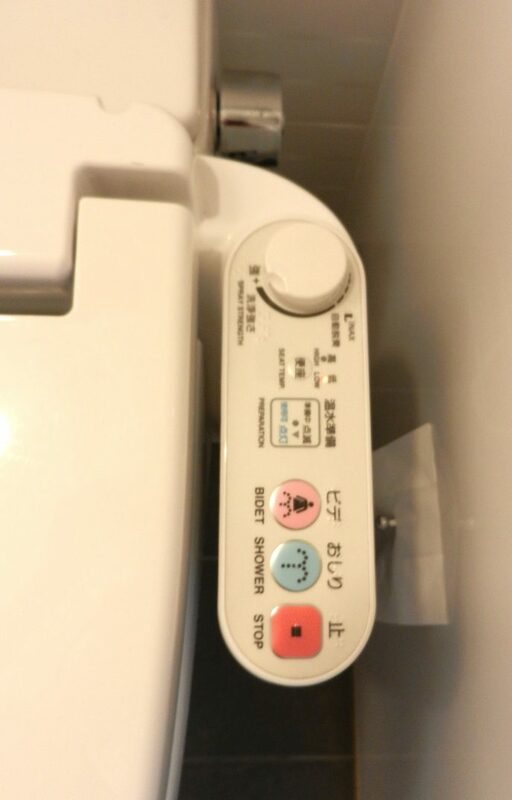 Toilet seats are sophisticated mechanisms that can be heated, and have lots of buttons – and are a bit intimidating, to be honest. Suprisingly, there are hardly any trash cans in Japan – they were removed for safety reasons. So you better bring a plastic bag and take your trash back home. Also, there are no paper towels in restrooms. It is custom to have your own little towel at hand – you can buy the plain white cotton ones in every convenience store. I still use the one I brought back home as a wash cloth. I traveled by train, using the JRPass, which is really the best way to travel in Japan. You have to purchase the pass in advance, in your country of origin, because it is only good for tourists. Plan ahead, because you will get a voucher you have to exchange when you arrive in Japan. The line at the counter at Narita airport was quite long, btw. It was a bit annoying to have to wait to get the rail pass after the long flight, but once you have your pass, you are good to go, even on the Shinkansen, the super fast train. Also, I felt very safe everywhere. The crime rate in Japan is really low. And I really enjoyed all the little parks and temples that seem to be splattered around town – you can find your inner zen there and take a break from the city’s rush. Here are some impressions from Tokyo – next Sunday, we will travel to Kyoto. Notice the guy sweeping the gravel path. Sometimes, even in Japan, you want a steak – and go to an “American” Bar. The trains in Japan are THE way to travel. The view from Tokyo Tower. The red light district is… intereresting. Of course there is Godzilla!